The story of the Ace Attorney series is one full of triumph, despair, turnabouts, and shocking twists, much like the narratives it contains. It originally began as a GBA series, having a 3 game, Japan-only run before sputtering to a halt. When the first game finally resurfaced as a Nintendo DS port with an extra case, diehard fans went nuts, but it was a limited North American release that sparked the series back to life. 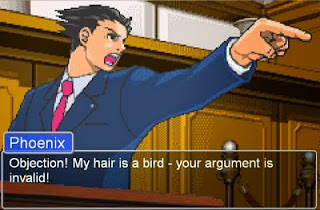 As more people heard about it, more Ace Attorney memes started showing up on the internet, from sites like Mr. Dictionary’s Objection creator to Ace Attorney parody movies. The game became a beloved cult classic and it wasn’t long before the rest of the games were released in the states. 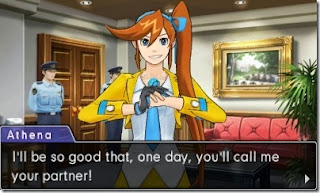 Soon after, Ace Attorney 4 was released bringing with it a bold spectrum of changes, including replacing the lead character Phoenix Wright with Apollo Justice, a red-vested shout monkey who could never capture fans’ hearts. Afterward, a new game following the first game’s lead Prosecutor Miles Edgeworth called Ace Attorney Investigations was released. Following the same “collect evidence, try to prove they’re guilty, repeat until they admit it” formula, but in a sort of sidescroller mode without the familiar court setting. 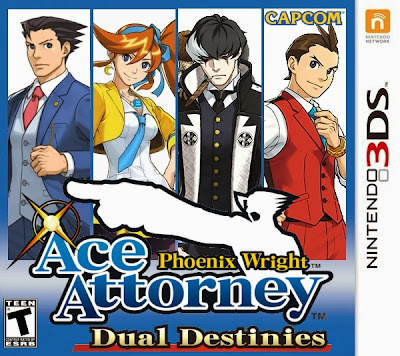 The response of these two games was lukewarm stateside, leading to the second Ace Attorney Investigations game to never be released in NA. Fans were distraught, doing everything from internet petitions to objection videos, but to no avail. Wind of a Layton x Wright crossover game came, bringing with it hope, but also the depressing defeat of a non-international release. Fans’ spirits were at an all-time low. Then news of a new game hit. One that returned to the basics. To court. To Phoenix. 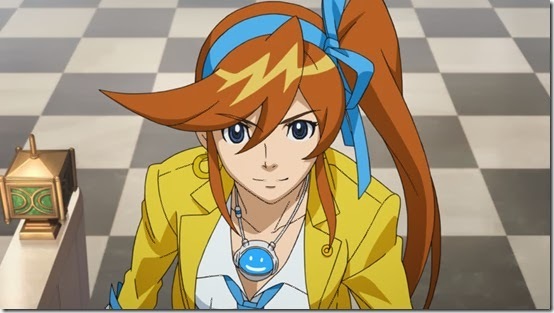 Ace Attorney 5 would put our favorite blue-suited spiked-mane smug-mugged lawyer back in the driver’s seat. Fans clamored for a stateside release with such fervor, Capcom must have been able to justify a release. The game just barely got a digital-only release (one employee informed me that it was going to have a limited edition boxed release, but this was cancelled a few months before the game’s release). But finally, it was time. No more angsting, no more pirating subtitled movies, no more reading walkthroughs, just playing through the series the fans have come to love. Prepare yourselves. 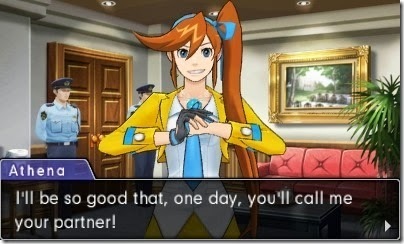 This is Ace Attorney 5. Following Phoenix’s disbarment, it seems he’s back behind the bench. Joined by Apollo and a new lawyer named Athena Cykes, they’re battling for their clients’ lives at every turn. Using every trick they know and a few they don’t, they relentlessly pursue the truth against Simon Blackquill, a convicted murderer prosecutor who has a thing for the old samurai ways. So yes, a formerly disbarred lawyer and killer are now practicing law. Awesome. The cases in this game are wildly reminiscent of previous ones. The high tension, red herrings, massive twists, and freak outs are all still here. Getting back behind the bench feels as exciting as you’d imagine it would. The overarching story deals with a serious subject rarely breached by the previous games –winning cases by any means necessary, from phony convictions to falsified evidence. Each of the cases ties into this theme somehow, forming a more cohesive narrative than I’ve seen in any previous Ace Attorney game. And what would Ace Attorney be without some strange new gimmick to get at the truth? For Phoenix it was Maya’s magatama which showed the locks on peoples’ hearts formed by their lies. Apollo had a bracelet that let him know when someone was lying, allowing him to perceive their tells. Now Athena has a computer system named Widget which can analyze audio patterns in a person’s voice for their emotions. When you see a strange reaction to a particular statement, you press on it and eventually clear up their testimony by reducing the discord in their heart. I like the system more than Apollo’s if only because it has more of a pseudoscience explanation behind it. It was kind of hard to swallow a magic bracelet that tightened when people lied. The magatama isn’t much more plausible, but at least it was given to Phoenix by a spirit medium; the bracelet is from Apollo’s mom who’s a decidedly non-magical <SPOILER>. Other additions to the gameplay include being able to examine a room in 3 dimensions by examining each of the 4 walls that make up a space. That in and of itself may make your heart sink if you’ve played previous games, since you know how frustrating investigation can be. Constantly clicking squares and examine for half an hour tends to do that. 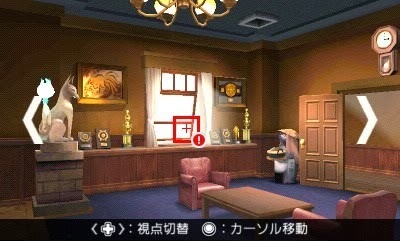 But Ace Attorney 5 has solved that too with a nifty feature that puts a little check mark on your indicator if you’ve already investigated something, and a pulsating circle if you can investigate something, but haven’t yet. Absolutely genius (i.e. should have been added a long time ago). The only complaint I have about the gameplay is that it almost seems too easy. At first, I thought it was because I was a truth-seeking, justicephile who has been in the courtroom one too many times to be bamboozled by Capcom, but upon talking to other fans, I’m finding the same thing. They all agree that it’s not as difficult. I suspect it may be due to things being easier, but it’s more than likely mostly caused by the reduction in frustration. Streamlining investigation alone makes cases take far less time and have much fewer headaches. Also, though the game features cameos from some rather large characters, there aren’t enough to meet the usually high Ace Attorney quota. Though those calmed down in later games, I still miss catching random glimpses of old suspects once in a while. On the upside, it means less lore to look up for newcomers. I love Ace Attorney, maybe even more than Kingdom Hearts. It’s one of the few series I support in every form I can. From figures to shirts to imported movies to the musicals and beyond, I’m a fan to my core. Though that usually bodes well for a series, this case is a hard one. After being scorned for so long from Capcom, this game had to not only meet the standard, but exceed it just to get a passing mark. Luckily, they did just that with wonderfully updated graphics, a quirky new investigation system, overhauling the frustrating parts, and bringing back characters we love without destroying the wacky continuity we’ve also grown fond of. If you’re new to the series, you may want to go back and play the first few games before getting started on this one (or at least Ace Attorney 4), but if you’re a fan of the series wondering if it’s worth the hype – it is. It so is. Trust me, once you nail your first ne’er-do-well in a lie and this song comes on, you’ll agree.